We at Facilikart are happy to introduce ourself to proctect your sweet home,work place and income property to prevent every type pest controls problem may it be termite,lizard,ants and flying insects. 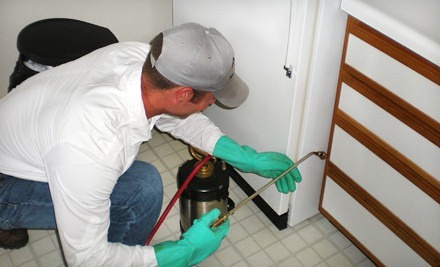 We are having the team of qualified professional.It is our highest priority to ensure that all your termite or pest control work in your home or office should be done perfectly and at a very reasonable cost . We will provide effective and efficient Pesticides work to gain your trust and so that we get chance again in future to serve you better. Pest control refers to the management of a species we at facilitykart have both herbal as well as chemical products to help you get rid of the pest menace at your sweet home and workplace. Most homeowners list their first home as their single largest investment.But they are depleted due to termites.We at facilitykart at has a professional qualified team to prevent your home and workplace from termite.We perform a thorough examination of your home by checking your basement or Ceiling, your foundation for wood debris, and other risk areas that may attract an infestation. Cockroach Control is our top priority to protect health of our family by eliminating them completely from your life.Cockroaches, are the most common insect pests infesting homes, food service establishments and other structures in Kentucky. Cockroaches are replusive and objectionable to most people simply by their presence. They are also capable of mechanically transmitting disease organisms such as the bacteria which cause food poisoning.